Selling a business is not a simple process and there’s a number of pitfalls you’ll want to avoid. Mergers and acquisitions take time due to legal, business, human resources, intellectual property and financial factors. In this article we’ll go over 10 top tips you need to consider when selling a private company. Even once you’ve found a buyer or bidders for your company, it’s still going to take months to complete the sale. In fact, 4-6 months is not uncommon. There are a few things you can do to speed up the process of your sale; for example, have all the necessary documents ready to go and available through a password-protected file on the cloud so buyers can access the necessary data quickly. Any management presentations should be prepared and vetted early, and your CFO should be ready to answer any questions that may come up. You can also nominate a lead negotiator who is experienced in acquisitions and mergers, and enlisting the help of a financial advisor can help speed things up too, who should be able to identify potential delays and help you identify and solve them before they arise. A private company’s value is not often as obvious to see as a public organisation, so the outcome of negotiations will depend on a huge number of variables. These include what your competitors are selling for or have sold for, and how quickly your business has been growing, as well as the type of person or organization who’s looking to buy your company. 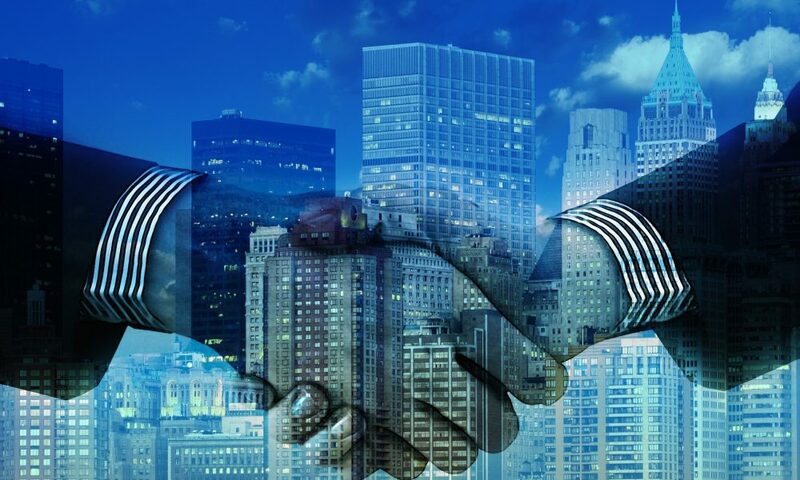 A private equity firm will have locked in processes for purchasing companies and want the best deal, whereas strategic buyers (competitors or organizations looking to move into your industry) may be willing to pay more because they believe your business will merge with theirs perfectly. Recent valuations during financing and what your shares sold for to your employees and shareholders will also factor, along with other projections, trends, assets, technology and licences your company owns, and even the experience of your management team. Fortunately, if you and the buyer aren’t able to reach agreement on how much the company is worth, there’s still an avenue you can use to move forward. An “earnout” is what it sounds like – it’s a contractual provision to pay the seller further as the business earns more, with a lower buy price. This comes at more risk, but can be worth it if you want to sell but believe your company will be more profitable than the buyer can understand at that current time. Your buyer will want to know everything they can to minimise the risk they are undertaking. Private equity firms will often have strict procedures they follow for each acquisition that are in-depth and intensive. Tie up any internal disputes before you put your business on the market, ensure leases are ready for the acquisition, have all the financial records up to date and ready to show potential buyers. Close any open contracts you have, any legal issues that may prevent the sale from moving forward, and overall, just tidy everything up so it looks fresh and ready to go. If someone has approached you and asked you to consider selling your company, then this may not be something you’ve considered, but, if you’ve decided to sell your business and you have no suitors then you’re going to have to market it yourself. As with anything you want to sell, you need to get the maximum amount of the right eyes on your proposal and the more interested parties you can gather at once the better chance of a bidding war. Though I’m sure (since you have a successful business you’re ready to sell) you know all about marketing, some avenues you can explore are a designated sale website, listing websites, word of mouth through competitors, customers, suppliers, on social media, especially LinkedIn, industry organisations and publications, and even Google Adwords can help you reach your target market. You don’t need to consider every offer. As the seller, you are perfectly within your rights to ask prospects why they want to buy the business, what their overall plan for the business is, where they are based, why they like your business, what are their current circumstances, what their experience is in your industry, and how they are funding the purchase. Research any potential buyer online and don’t be afraid to set up a meeting in person or via Skype to open the dialogue. You are going to have to be as open as possible with serious potential buyers. If you are concerned about competitors or you want to keep certain details confidential, you can get serious prospects to sign an NDA before accessing your business’s data. You need to have a good idea of what your business’s market price realistically is, so you will know how realistic the figure in your mind is, what offers are low and what are high, so that you can act confidently when offers come in. Small businesses can find sale and purchase agreements online, but medium and large businesses and corporations will need to have their legal teams or external solicitors who have experience in business acquisitions and mergers. Hopefully, this list has given you a few of the pitfalls to look out for. If you want to read more on this subject, Forbes have a great article on this subject that dives deep into every in and out.